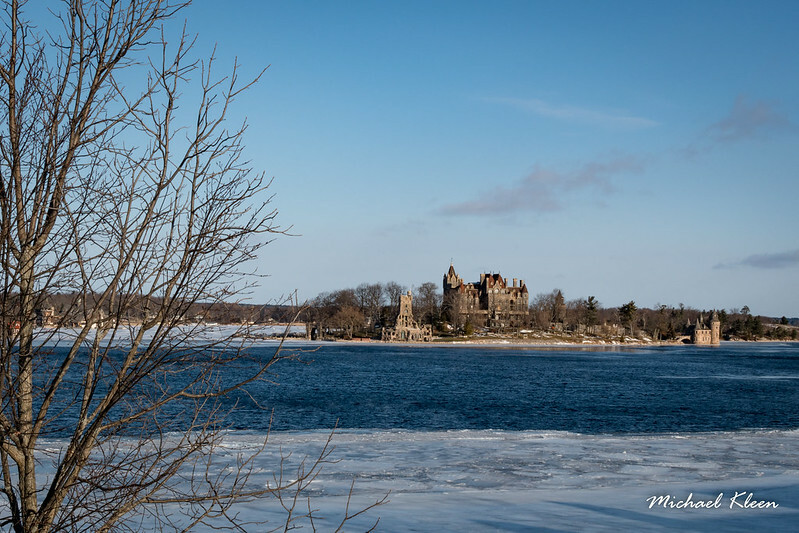 Few places in Upstate New York are as romantic as Boldt Castle on the St. Lawrence River. George Boldt, general manager of the Waldorf-Astoria Hotel in New York City and manager of the Bellevue-Stratford Hotel in Philadelphia, began construction of the 120-room mansion in 1900, but it was never finished. It was to be a grand tribute to the love of his life, Louise Kehrer Boldt. Tragically, Louise Boldt died suddenly in January 1904. 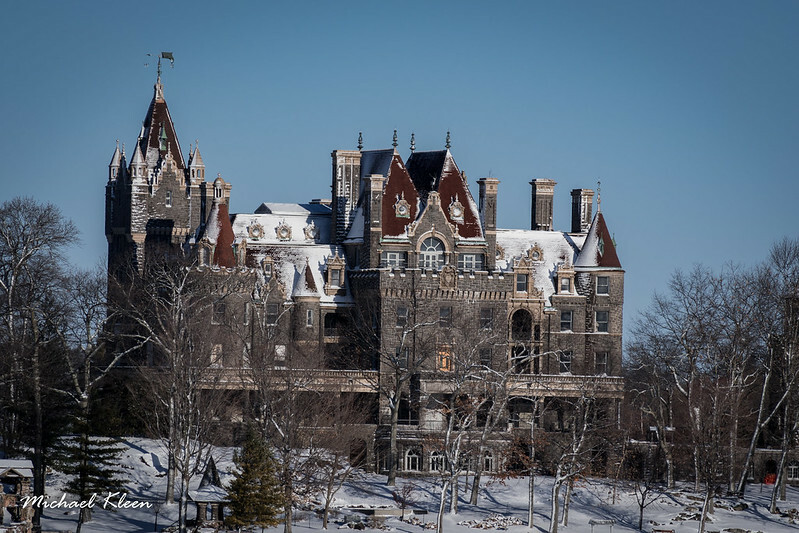 Heartbroken, George Boldt sent workers at the castle a telegram telling them to cease construction immediately. For the next 73 years, the partially-completed castle sat empty and abandoned, left to the mercy of vandals and the elements. In 1977, the Thousand Islands Bridge Authority bought Heart Island and agreed to commit all proceeds from tours and events toward its restoration. Today, much of the structural damage has been reversed, and the ground floor is beautifully furnished. 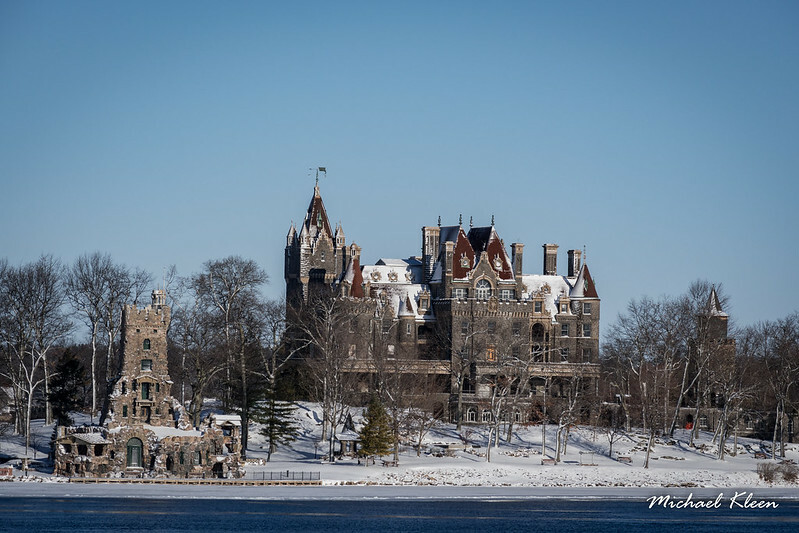 It looks particularly romantic, like something from a fairy tale, covered with snow and ice.